There is a large tradition of viniculture in the Valencian Community, but especially in Valencia, whose capital is the third largest in Spain. 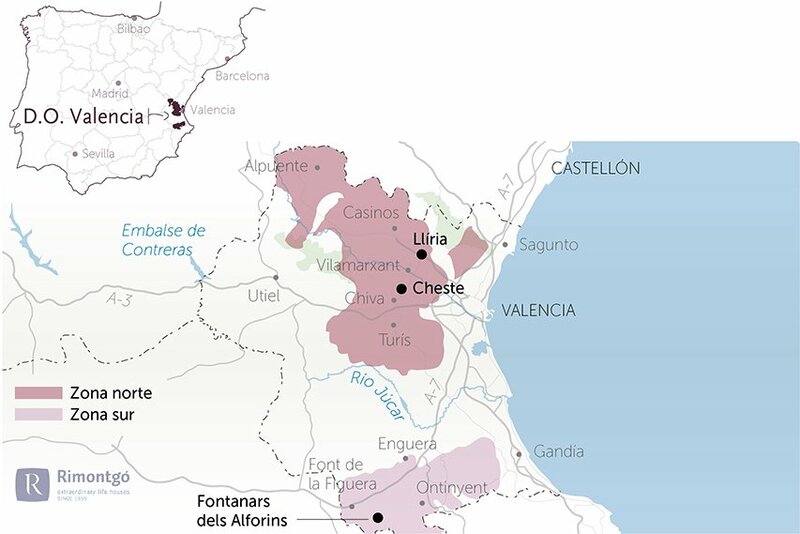 Whilst the Designation of Origin Utiel-Requena is situated inland of the province, the vineyards of the demarcation of Valencia border the capital and its surrounding land by the Northeast and the South. Traditionally, they have been looked after by viticulture families, and how they have also experienced a strong increase on account of the new generations of agriculturists. The majority of vineyards are inland, by at least 30 kilometres, and often are located in the valleys. In general, the sub-soils vary from the alluvial lowlands to the limestone highlands, with clay in the middle sections. There are four sub-areas: to the northeast of the city is where Valentino is found, the largest cultivation area, which is elevated abruptly from the coastal plain toward the inland; then there is Alto Turia, at 625 metres, with the sandiest soil; Moscatel is elevated up to 100 metres above sea level; and finally Clariano is found to the south of Valencia, close to Xàtiva, with clayey soils. Valencia has a clear Mediterranean climate, but the majority of the vines grow under the continental inland influence, where the temperatures have the greatest contrasts. A change in temperature of 30ºC within 24 hours is not unusual in ripening season. Some areas of highland are classified as arid and semi-arid. 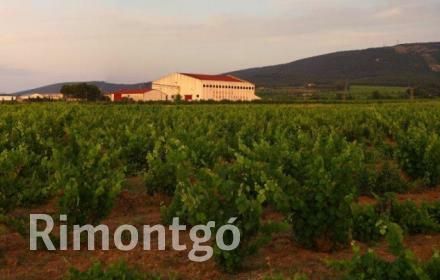 Merseguera is the main local white grape amongst the many varieties that grow here. Amongst the reds, Tempranillo is being introduced as a high quality variety and replantation is recommended. 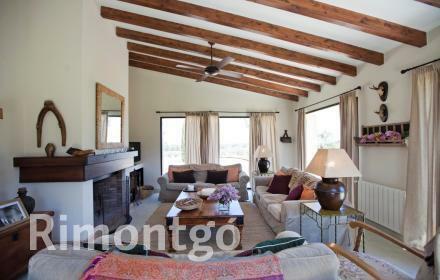 Monastrell, Grenache, Bobal and Graciano are other authorised Spanish grapes and, as for the international varieties, it includes Merlot, Pinot Noir, Petit Verdot, Syrah, and Cabernet Sauvignon. 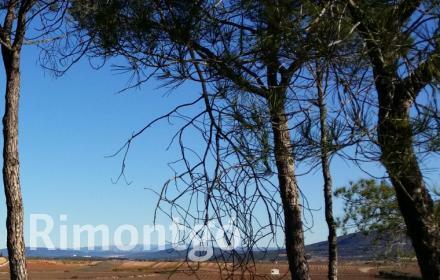 A formalised agreement allows the wineries of the Designation of Origin Valencia to buy wine from the neighbouring Utiel-Requena, as need for each crop. 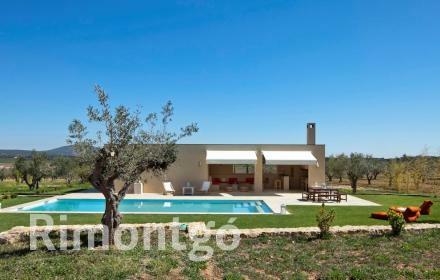 Property with vineyards in Fontanars dels Alforins, Valencia. 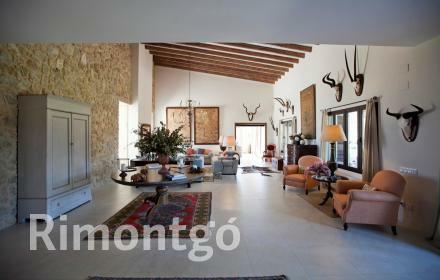 Spectacular property with vineyards in the middle of a natural landscape in the Valencian region of Fontanars dels Alforins. 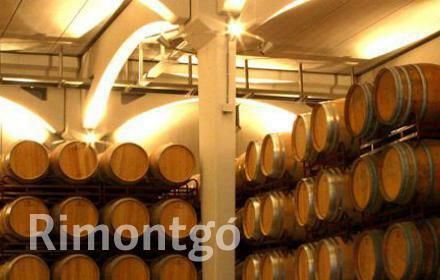 Large capacity winery in DO Valencia region. 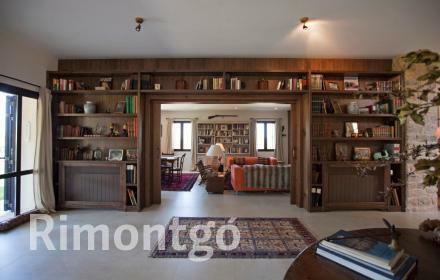 New winery with high production capacity and the latest technologies on Valencian land.